I was kindly invited to the Walker Books Manchester Roadshow last week and decided as there are so few events like it in my area I should definitely go; man am I happy I did! I managed to find out a lot about some exciting titles that Walker and Constable & Robinson have got coming up this year, chat to wonderful (and professional) bookish people, meet an author who I have chatted to a fair bit on twitter and meet the amazingly wonderful Hannah over at Walker who keeps my diet of incredible books up and running! If was such a fantastic event held in the Albert Square Chop House in Manchester, once I had found the place I got chatting to a couple of lovely people, Sarah from Waterstones and another woman from Manchester Libraries whom I cant remember the name of! I am so bad with names! I had a nosey at the selection of books on display then the presentation started. Now this event is mainly for booksellers and librarians, to show them whats coming up and what the publishers think will hit the top of the charts, so it wasn’t your typical blogger event. With this in mind I found the presentation a little number orientated and may possibly have stopped listening at times, but the bits I did listen to were amazing. Constable & Robinson took to the big screen first and discussed their books, which included everything from Psychology to cookery to crime and romance. Their books are mainly non fiction and adult fiction, but they did say a little about their young adult and children’s imprint Much in Little which was more interesting to me. Then Walk came along and chatted about their books, the highlights for me included videos from Patrick Ness, Antony Horowitz and a fantastic author who I hadn’t heard of called Kate DiCamillo. The videos were brilliant as each author talked about their new books and I am really wanted to know more about Kate and Patricks’ in particular so they offered a great insight into those. I could chat all day about the books I saw and thought looks amazing but instead I’ll leave you with a little bit about each of them below. Following the presentation we had canapes and drinks and mingled, I chatted a lot with Sarah from Wasterstones in Huddersfield, Jenny from Wondrous Reads (and her friend who I think was called Liz maybe), Hannah from Walker and a lovely girl who I can’t for the life of me remember the name of, but who works for the amazing indie bookstore Storytellers Inc in Lytham. It was a brilliant night and I have to say a huge thanks to Hannah, Jo and the guys from Walker for putting it on and inviting me along! 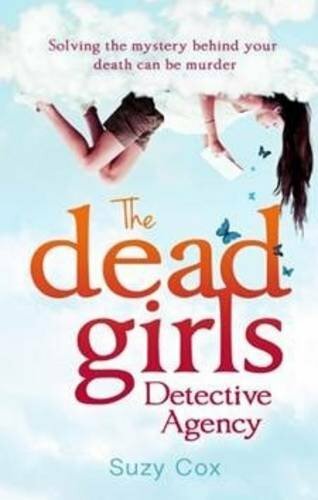 Solving the mystery behind your death can be murder.Charlotte wakes up at Hotel Atessa, home to murdered New York teenagers and HQ of The Dead Girls Detective Agency. Before she has time to adjust to her new dead self, she’s introduced to her new afterlife companions, Lorna, Nancy and the cute – if slightly hostile – dead boy, Eddison.But where does this leave Charlotte and her boyfriend David? Is it possible to have a long-distance relationship from beyond the grave? The only way out of this limbo is to figure out who killed her, or she’ll have to spend eternity here. But who could hate her enough to want her dead? In Deadlands, life is a lottery. Ten years have passed since Cape Town was destroyed in the war with the living dead. Now, human survivors are protected from the zombies that lurch around the suburban Deadlands by shrouded figures known as ‘Guardians’. But the price for protection is steep: each year, the Guardians hold a human lottery in which five teenagers are chosen for a secret purpose. Seventeen-year-old Lele hates everything about her life in the city: her new school, the brainwashed zombie-lovers, the way everyone seems creepily obsessed with teenagers . . . She wants out. Then she is picked as a Chosen One: but she’s not prepared to face whatever shady future the Guardians have in store for her. So she runs for her life – straight into the Deadlands, and into the ranks of the Mall Rats – a renegade gang of misfit teens who have gone underground – and are preparing to take a stand. Francis Wootton’s first memory is of Kurt Cobain’s death, and there have since been other hardships much closer to home. At fifteen years old he already knows all about loss and rejection – and to top it all off he has a permanently broke big brother, a grandma with selective memory (and very selective social graces) and a mum who’s at best an acquired taste. Would-be poet, possible intellectual, and definitely wasted in Tyne and Wear, Francis has grown used to figuring life out on his own. Lower Fifth is supposed to be his time, the start of an endless horizon towards whatever-comes-next. But when he is diagnosed with leukaemia that wide-open future suddenly narrows, and a whole new world of worry presents itself. There’s the horror of being held back a year at school, the threat of imminent baldness, having to locate his best shirt in case a visiting princess or pop-star fancies him for a photo-op . . . But he hadn’t reckoned on meeting Amber – fierce, tough, one-of-a-kind Amber – and finding a reason to tackle it all – the good, the bad, and everything in between – head on. In Bloom is a bright, funny, painful, and refreshing novel about wanting the very best from life, even when life shows you how very bad it can be. It is a novel about how to live. 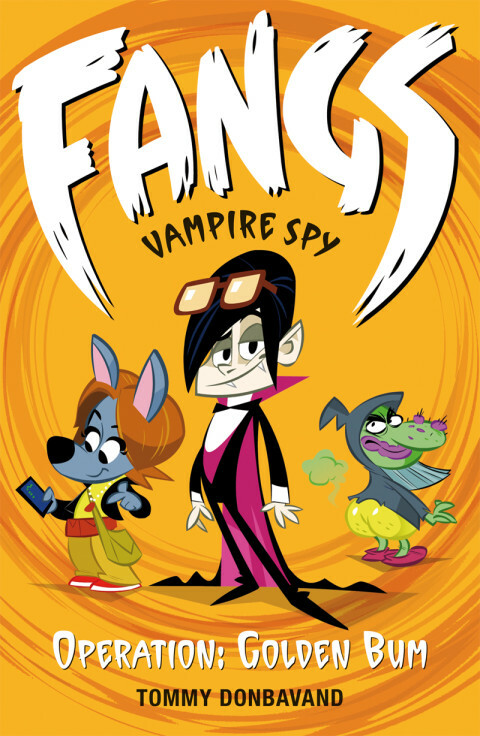 Special Agent Fangs Enigma and his sidekick, werewolf Agent Puppy Brown, were recruited by secret intelligence agency MP1 (Monster Protection, 1st unit) to stop the world’s worst super(natural) villains and criminal monsterminds from realising their evil plans. In Operation: Golden Bum, Agents Enigma and Brown are drafted in to investigate a string of high-profile robberies. The presence of an unidentifiable foul smell at all of the crime scenes leads MP1 to suspect that this is no ordinary robber but one with magical abilities. Can the world’s greatest vampire spy and his sidekick sniff out the thief before he puts his stinker of a plan into action? In Codename: The Tickler, MP1’s expensive mind-control technology, the Will Pill, has been stolen by an ogre named Snores. He is only a goon for hire, though – so who is the real culprit? Can Agents Enigma and Brown solve this ticklish case or will the mysterious Tickler have the last laugh? Fangs and Puppy are assigned to protect Princess Tiara after a series of failed kidnap attempts by Bigfoot, aka shaved yeti, Barry Sasquatch. Will Agents Brown and Enigma crown themselves in glory or is the worst yeti to come? Calling Johnny Middleton’s school Hell High is unfair. Unfair on hell. It is a brutal dictatorship run by the deputy head, known as the Shank, and his “prefects”, a group of bullyboys and enforcers who have thumbs in almost every racket in the school, from feeding the insatiable Lardies to taxing the Year Seven’s dinner money. The only thing the Shank cares about, beyond his craving for absolute discipline, is the school pets – so when they are slaughtered in ever more savage and bizarre ways, someone must pay. And that person is going to be Johnny. But Johnny is no one’s fall guy. He is determined to get to the bottom of the mystery and avoid retribution. So determined, in fact, that he forgets to take his meds… And then things begin to get really weird for Johnny. Set in a near-future Britain, Dark Satanic Mills tracks a young woman’s journey from the flooded landmarks of London to the vast, scorched and abandoned hills of the North. Framed for a murder she did not commit, the innocent and beautiful Christy has no other choice but to run for her life. Both a cautionary tale and a rip-roaring road trip, Dark Satanic Mills is altogether an intelligent, captivating and thrilling ride – the Wizard of Oz for a new generation, told in exhilarating shades of light and dark. A powerful new story and debut comic book in collaboration with brother Julian Sedgwick and internationally renowned comics artist John Higgins and Marc Olivent. Certificates for YA books? Seriously? It kind of sounds amazing and horrible all in one go! Nothing on this scale for Erin I don’t think! At least Spike had fun though.